The California stem cell agency yesterday shed some interesting light on the awards in its $41 million round this week and their pathway to actually producing a product that can be used to treat persons who are suffering from diseases. It is a difficult and long journey to generate usable therapies, a process poorly understood by the public, which was promised in 2004 that the stem cell agency would produce cures for ailments afflicting half the population of the state. One of the virtues of the California stem cell agency is its promise of a continued stream of funding. Former Chairman Robert Klein used to tout that particular aspect of the agency, particularly in light of limited federal resources. Adams’ comments implicitly raise important questions concerning CIRM’s entire portfolio. How many CIRM grants have led to additional funding from CIRM? How many are basically one-off shots that have not led to research that has advanced the development of stem cell therapies, either via CIRM or other funding. What is the therapeutic and scientific significance of the research that is linked by more than one CIRM award? What previously funded CIRM research could be fruitfully funded again to advance the science and not necessarily through the traditional grant rounds, which sometimes have awkward timing? Unmentioned in Adams’ item is an application from a UC Irvine researcher that came up at Wednesday’s meeting of the governing board of the stem cell agency. The woman, whose name was not clearly audible on the Internet audiocast, publicly appealed rejection of her application by reviewers. She noted that it was an extension of work that was previously funded by the agency. She also noted that the score on her review was all but identical to work that was funded. The board, however, turned her appeal aside, which had already been rejected behind closed doors by CIRM staff. Hers is not the only such case in CIRM history. But they are virtually impossible to track systematically because of the structure of the CIRM grant-making progress. It is also not clear whether the agency itself is tracking its research awards to determine if they result in continuing, fruitful research in a specific area. Nonetheless, the matter deserves some public attention. The California stem cell agency has made it official, sending out its press release on the $41 million in grants approved today for institutions throughout the state. Most of the 13 awards, as usual, went to organizations represented on the governing board of the agency. Individual board members, however, are barred from voting on specific grants to their organizations. UCLA topped the list with four grants. No other institution received more than one, including only one business, Numerate, Inc., of San Bruno, via John Griffin, the firm's chief scientific officer. The lack of awards to businesses has long been a sore subject in the biotech community. The only news story so far was written by Bradley Fikes of the San Diego U-T, which circulates in an area that is a hotbed of biotech research. Institutions there snagged $12.6 million in four grants. Fikes also identified one of the five researchers who lost their appeals on negative grant review decisions. He is Evan Snyder, leader of stem cell research at Sanford-Burnham Medical Research Institute in La Jolla, who had a $5 million request before the agency. The agency's press release can be found here with more information on the proposed research here. The California stem cell agency today triggered a new program aimed at recruiting major biotech and venture capital firms to assist in providing tens of millions of dollars for research by California enterprises. The effort, part of an $80 million business-friendly initiative, was approved by the agency's governing board on a voice vote. Participating companies will have a special relationship with the state agency, according to a staff document. The "industry collaborators" will have early input into concept funding proposals prior to their presentation to the agency's governing board. The companies will also be able to attend agency workshops and meetings involving hundreds of grant recipients. Other aspects of the proposal call for special event-hosting arrangements aimed at creating more collaborations along with posting of information from the selected collaborators on the CIRM website. UCLA scored today with at least two grants, totaling $3.6 million, from the California stem cell agency. Seeking the cash were Donald Kohn, application 6823, and Gerald Lipshutz, application 6831. Both of the grants are for $1.8 million each. Their applications were initially in the agency's tier two category, which means that CIRM's reviewers did not approve them outright for funding. CIRM staff, however, did under a new procedure, and the agency's governing ratified the recommendation. Lipshutz also appeared before the board along with several patient advocates who made emotional appeals for funding. Lipshutz's research deals with urea cycle disorders, which occur in one out of 8,200 births. Current treatment is arduous and can involve liver transplants. Kohn's research deals with sickle cell disease, which afflicts primarily African-Americans. His efforts are aimed at correcting the sickle gene defect in the blood stem cells before transplanting them back into the patient. Directors of the California stem cell agency today all but approved about $41 million in early translational grants, rejecting all appeals by applicants and accepting staff recommendations on marginal grants. The roll call vote was held open this morning to record a vote by one board member who was not present at the time. It is virtually certain that the member will vote in favor of affirmative action on the applications in question. One member of the board, Joan Samuelson, abstained from voting on any of the applications. She said she did not think the board had adequate information on its total grant portfolio, particularly in view of the declining amount of money available. The agency has about $600 million in uncommitted funds and is scheduled to run out of cash for new grants in 2017. The research acted on today is aimed at “proof of concept for development of a therapy candidate and/or studies to select a development candidate. The approved grants can be found on this CIRM website page and are listed in tier one and tier two. Identities of the applicants are withheld by CIRM to avoid embarrassing rejected candidates and to avoid disclosing the names of applicants to board members before they vote. However, applicants often appear before the board, as they did today, and identify themselves. Five applicants appealed negative decisions on their applications by grant reviewers. The agency declined to disclose the appeal letters or identify the applicants, information that was a public record under the previous appeal procedures. New processes were put in place this spring that moved the appeals behind closed doors and made them subject to staff instead of board review. Nonetheless, rejected researchers have a legal right to address the board on appeals or any other matters. At the request of the California Stem Cell Report, the agency provided the numbers of the grants on which appeals were filed. They are: 06787, 06888, 06761, 06793 and 06830. Review summaries on the applications can be found here. We have asked the agency to provide its legal and policy justification for now withholding information that was once a public record. Directors of the California stem cell agency this morning moved forward on a $1.8 million application from UCLA that the agency's reviewers declined to approve outright. The application (No. 6831) was moved into a category that will be approved routinely later today by the board. CIRM staff recommended that the application be approved. Directors of the California stem cell agency this morning ratified a staff recommendation for funding of a $1.8 million application that was a "wobbler" when it was examined behind closed doors by agency reviewers. The CIRM staff had recommended funding of the application (No. 6823) with the condition that the agency staff be satisfied with the support to be provided by a collaborator. Reviewers had declined to approve the application outright. The governing board of the California stem cell agency today paid tribute to the late Duane Roth, co- vice chairman of the agency, who died recently as the result of a bicycle accident. With members of Roth's family present, CIRM Chairman J.T. Thomas characterized Roth, 63, as a "voice of reason" on the 29-member board. The video included testimonials from both staff and board members. He was described as a "kind person" who could find "common ground" on difficult issues. Roth was deeply involved in San Diego affairs that went well beyond the stem cell agency. More than 1,000 persons attended memorial services for Roth earlier this month in San Diego. CIRM President Alan Trounson said following the video that he will "miss (Roth) terribly" and expressed "hope that his memory will lighten and brighten the day for all of us." The California stem cell agency’s road map to its financial future makes a big, $200 million assumption. The amount would be the agency’s skin in the game for a new, public-private partnership to continue with the agency’s work after 2017, when its cash basically runs out. The $200 million figure is contained in the assumptions for development of the proposed partnership, which is now in the very early stages of being crafted by a Marin County consultant, James Gollub. He was told that whatever he comes up with can assume a onetime, $50 million to $200 million public contribution. The sixty-four-dollar question – to use a term from the 1940s -- is how to raise that sort of cash. Consider two unappetizing possibilities. The 29 members of the agency’s governing board could go to Sacramento and ask lawmakers and the governor to give them the money, a prospect that most of them would not relish. Such a move would open the door to tinkering or more with the agency’s structure and operations. Or the board could seek more bond financing via a statewide election, requiring an electoral campaign that would cost many millions to mount. In both cases, there is no guarantee that funds would be forthcoming. Money is still tight in California government, and voters may not fancy spending more on stem cell research, especially if the agency has not delivered on the promises of the 2004 ballot campaign that created the $3 billion program. A third possibility, however, exists, but it also could be difficult considering pressures to spend all that the agency has. The board of the California Institute for Regenerative Medicine (CIRM), as the agency is formally known, has about $600 million in uncommitted cash. It could take $200 million off the table and reserve it as seed money for whatever future plans would involve. Or the board could simply roll back commitments it has made for lower priority grant rounds – ones that have not yet been initiated. Some are in concept stages, and others have not yet been posted as RFAs. Scrimping on existing efforts is not going to suit the condition of all board members. The question of priorities on spending came up last month in connection with the agency’s generous, $69 million researcher recruitment effort that benefits many institutions represented on the agency’s board. Jeff Sheehy, who is a patient advocate member of the board but also a communications manager at UC San Francisco, and others bridled at adding more money to the recruitment program. Sheehy cited scarcity of funds and said it was a “distraction” from more important efforts. His view, however, did not prevail. Today the board is scheduled to act on a grant round that is budgeted for $70 million. However, grant reviewers have approved grants totaling only $37 million. Board members, if they wish, could indicate that the surplus $33 million be designated as a down payment on the future of the agency – an organization in which they take great pride. The California Stem Cell Report will provide live coverage of tomorrow’s meeting of the governing board of the $3 billion California stem cell agency. Stories will be filed as warranted during the daylong session, which begins at 9 a.m. PDT in La Jolla, Ca. Coverage will be provided via the Internet audiocast. Those wishing to listen to the event live on the Internet can find instructions on the meeting agenda. Also available is a Webex transmission, which provides viewing access to the many documents that are used during the meeting but have not been made available yet to the public. In addition to the La Jolla location, those wishing to participate in the meeting can do so at teleconference locations in Menlo Park and Duarte, both in California. Directions for the audiocast and Webex broadcast can be found on the meeting agenda. The California stem cell agency today released the $150,000 contract and proposal from James Gollub Associates to create a “strategic road map” for the $3 billion state program, which is scheduled to run out of cash for new grants sometime in 2017. 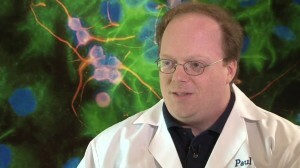 The goal of the road map, according to the contract, is to develop a “preferred model for a public-private sponsored entity to fund the most desirable translational projects in the CIRM portfolio.” That would appear to rule out future funding for basic research and training, which the agency has supported well during its nine-year history. It would also be an acknowledgement that the agency cannot count on $300 million a year for grants as it has in the past. Under the terms of Prop. 71, which created the agency in 2004, the effort is currently financed by state bonds, money borrowed by the state of California that flows directly to the agency without oversight by the governor or legislature. Authority to issue the bonds expires in 2017. The contract calls for an initial report from the Gollub by Nov. 30 with the agency to decide by March 1, 2014, on whether it wants an operations and business plan from the Tiburon, Ca., firm. Presumably the agency’s governing board would hear recommendations from Gollub at its December meeting. The contract, signed July 16, specifies that Gollub will conduct at least 20 interviews with stakeholders to evaluate four possible models that it will develop. The stakeholders will include “investment, academic and government groups” and possibly others to be determined later. The proposal presented by Gollub contains more information on the firm and the persons who will be working on the project. In addition to Gollub, they include Steve Marshall, Amy Rassen and Annika Barnes, all Gollub employees. The contract and proposal can be found below. The California stem cell agency today took issue with a statement in an item yesterday that said the agency withheld the names of grant applicants prior to action on their applications by the agency’s governing board to avoid embarrassing the researchers. The agency said that the reason was to avoid identifying applicants to members of the governing board prior to its vote on the applications. The agency’s official practice of withholding the identities of institutions and individuals seeking public funds has a long history. The agency itself has breached the policy on more than one occasion. While it also does not officially release the names of applicants denied approval, that practice is also breached when appeals are filed. Interested readers can find a short discussion of the policy and links to additional material at the end of this item. The "New Procedures" item on Aug. 26, 2013, incorrectly stated, based on information provided by the stem cell agency, that six applicants in this week’s early translational round had filed appeals to overturn negative decisions by grant reviewers. The agency today said the correct number is five. For the first time in its nine-year history, the staff of the $3 billion California stem cell agency this week formally and publicly weighed in on grant approval actions by its prestigious reviewers, recommending that one application be rejected and another approved with conditions. The staff, led by CIRM President Alan Trounson and Patricia Olson, the agency’s executive director of scientific activities, made recommendations to the agency governing board on three applications that can be described as “wobblers.” In other words, the board could go either way on the proposals when it considers them at its meeting in La Jolla on Wednesday. Trounson recommended that the governing board reject one of the wobblers (No. 6666), a $2.0 million proposal, even though it received a higher scientific score – 70 – than the other two applications. Trounson recommended approval of two $1.8 million projects (Nos. 6831 with a scientific score of 66 and 6832 with a scientific score of 69), with staff-imposed conditions on one. The agency’s standard practice is withhold the identities of applicants prior to board action because they might be embarrassed. The new process for evaluating marginal or wobbler applications was established last March in response to an Institute of Medicine study last year that made a host of recommendations for improvements at the stem cell agency. The staff recommendations on applications came in a $70 million early translational round that is aimed at “proof of concept for development of a therapy candidate and/or studies to select a development candidate. In all, including staff and reviewer actions, 13 applications were recommended for funding, although the board has almost never rejected reviewer decisions. The 11 grants initially approved by reviewers total $37 million. With the two more recommended by staff, the figure would be about $41 million. A total of 39 applications were considered for funding. Five applicants filed appeals of reviewer rejections, a CIRM spokesman said today. The California Stem Cell Report has asked for copies of those appeals and CIRM staff action on them. Appeals are also being conducted under a new staff-dominated procedure, although all applicants have the right under state law to appear before the board to address any subject. Budgeted grant funds that are unused are available to the board for future grant rounds in any area they so desire. (Editor's note: Kevin McCormick, CIRM's spokesman, later commented on the agency's practice of withholding the identities of applicants to avoid embarrassment to applicants who are not approved. He said, "Actually they are withheld so that the board doesn't know the identities of the researchers or the institutions whose applications they are voting on." A San Francisco consultant, who is often known as an “economic therapist,” has been selected to devise a “strategic road map” for the financial future of the $3 billion California stem cell agency. James Gollub, managing director of the firm bearing his name, is under a $150,000 contract to lay out by this fall a detailed plan for the agency. The nine-year-old research effort is scheduled to run out of money for new awards in 2017. Gollub was selected after the agency posted a request for proposals (RFP) last spring. The RFP assumed an additional $50 million to $200 million in a onetime “public investment.” The RFP also assumed additional private funding of a yet-to-be-determined nature. “Global experience assisting universities, institutes, government agencies and public-private partnerships link innovation sources to innovation seekers. The need for a financial transition plan for CIRM was publicly identified as long ago as 2009 by the Little Hoover Commission in its lengthy study and has been reiterated periodically by other bodies since then. Under the terms of Prop. 71, which created the agency, CIRM has only a 10-year authority to issue state bonds, the borrowed funds that have sustained the research effort. Legal maneuvering blocked the issuance of bonds until 2007. The $3 billion California stem cell agency wants to recruit major biotech and venture capital firms to help provide tens of millions of dollars in research awards to California enterprises. It's part of a move to “jump start” partnerships in a relatively new, $80 million, business-friendly program that is aimed at pushing therapies into the marketplace. The recruitment plan will come before the agency's governing board at its meeting next Wednesday in San Diego. Participating companies will have a special relationship with the state agency, including early input into concept funding proposals prior to their being presented to the agency's governing board. The “industry collaborators” will also be able to attend agency workshops and meetings involving hundreds of grant recipients. Presumably other, non-collaborating firms would be barred. Other provisions of the plan call for special event-hosting arrangements aimed at creating more collaborations and posting of information from the selected collaborators on the CIRM website. According to a CIRM staff document, the initiative would be limited to biotech and pharmaceutical firms with a market capitalization of at least $500 million and “qualified venture capital firms.” The document did not define what a “qualified a venture capital firm” is. The document also appeared to bar participation of privately held firms because of the “market capitalization” criteria, which typically uses a formula involving publicly traded shares. The $3 billion California stem cell agency this week posted a list of its outside contractors, who range from a a $25,000 stem cell licensing consultant to a $550,000-a-year law firm. The agency expects to spend $2 million during 2013-14 on outside contracting, down from $2.9 million in 2012-13. This week's report covers the 2012-13 year. Topping the contractor list is the law firm of Remcho, Johansen & Purcell of San Leandro, Ca., which had the $550,000 contract. CIRM, as the agency is known, reported that Remcho came in under budget by $95,595. That contrasts to some previous years when the firm, which has represented the stem cell agency since its inception, required additional cash on top of its original contract. James Harrison of the Remcho firm is its face at the agency and is designated as the outside counsel to the agency's governing board. In all, the agency is slated to spend $2.2 million on legal expenses, including in-house work. David Earp is the stem cell licensing contractor. He was paid only $13,125 on his $25,000 contract during 2012-13. It is unclear whether he will be paid the $11,875 balance. Earp was chief patent counsel and senior vice president for business development for Geron before it dropped its stem cell program. Earp was heavily involved in the $25 million loan that CIRM made to Geron in 2011. In February 2008, he testified before CIRM about its then proposed loan program. The list of contractors included $200,000 to the AlphaMed Press of Durham, N.C., as seed funding for a stem cells translational journal, $156,434 to Hyatt Hotels for the meeting of CIRM grant recipients, $250,000 to Kutir Corp. of Newark, Ca., for informational technology services and $290,000 to the Mitchell Group of Woodland Hills, Ca., also for information technology services. The list of contractors will be presented to the CIRM governing board at its meeting next week. The list does not usually trigger any significant discussion. The stem cell spending item yesterday incorrectly stated that the California stem cell agency would run out of funds for new grants in 2013. The correct year is 2017. The California stem cell agency will have committed $472 million to translational research – a key to commercializing stem cell therapies – if it awards the full $70 million in new grants and loans slated to come before its governing board next week. Basic research is to receive 17 percent or about $469 million with buildings and facilities taking up $443 million or 16 percent. Training and career development has consumed about 15 percent or $414 million. However, those calculations include $577 million in funds that have been allocated but not yet awarded. Another $491 million is “concept approved” but also not awarded. The agency's governing board could change those allocations or withdraw approval of concepts, although it has not yet shown signs that it might do so. The agency will run out of money for new grants in 2017 and is examining the possibility of generating more cash through some sort of public-private partnership. To develop support for continued funding, the agency is under pressure to generate results that will resonate with the public and potential private funding sources. Those results are most likely to come from a late stage translational/clinical trial effort. Here is a link to CIRM's translational portfolio as of September 2012. The California stem cell agency has joined with other prestigious stem cell organizations to help put a stop to the flim-flam artists that prey on desperate people by promising miracle cures from stem cell treatments. Some of those ads can be found on many stem cell-related web sites, including this one, that carry ads that are placed there automatically by Google. The California stem cell agency is scheduled to give away $70 million next week as it moves forward on its efforts to turn research into cures. The awards will be for efforts that will result in proof of concept for development of a therapy candidate and/or studies to select a development candidate. As many as 20 grants and loans are projected to be awarded in the early translation round. The awards will range up to $3.5 million over a three year period. The round was open to both businesses and academic institutions. Collaborators from Germany were involved, although funding for research in that country is not provided by the state stem cell agency. The applications will come before the $3 billion agency's governing board at its Aug. 28 meeting in La Jolla. After next week's awards, the agency, which is known as CIRM, will have about $500 million left to hand out before cash for new awards runs out in 2017. The agency is currently examining ways to continue its awards with some sort of public-private partnership. Also on the board's agenda is a proposed announcement for a CIRM/industry co-funding agreement. No further details on that program were available early today on the agenda. Other matters to be considered include final approval of the changes in the agency's IP regulations, appointment of new members to the grant review group and the latest report on the outside contracts held by the agency. Details on those matters are yet to be posted by the agency. A tribute to the late Duane Roth, co-vice chairman of the agency, is also scheduled. The board will additionally meet behind closed doors to evaluate the performance of CIRM President Alan Trounson. The California Stem Cell Report will carry more information on the meeting as it becomes available. In addition to the La Jolla location for the meeting, other locations where the public can take part in the meeting are in Menlo Park and Duarte. Specific addresses can be found on the agenda. 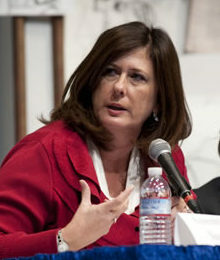 Nancy Scheper-Hughes, professor of medical anthropology at UC Berkeley and director of Organs Watch, is one of the opponents of the legislation that would have permitted women to sell their eggs for research. Today she filed the following comment on the “troubling mindset” item on the California Stem Cell Report. A Democratic state legislator today assailed Democratic Gov. Jerry Brown's “mindset” as “particularly troubling” in his veto of legislation that would have allowed women to sell their eggs for scientific research. The statement came from Assemblywoman Susan Bonilla, D-Concord, in response to Brown's action on her fertility-industry sponsored bill, AB926, which would have removed a ban on compensation for women who provide eggs for research. Bonilla has argued that women involved in egg-related research, such as that involving stem cells, should be compensated, just as men are for their sperm. Women who provide eggs for fertility purposes can be legally compensated up to any amount. The current market runs about $10,000 or so per egg cycle but can be much higher. Bonilla's measure would not have affected a ban on compensation involving research funded by the $3 billion California stem cell agency. It would have taken a 70 percent vote of each house to alter that restriction, compared to a simple majority for Bonilla's bill. The super, super-majority requirement was written into state law by Proposition 71, the measure that created the stem cell agency. Bonilla did not indicate whether she would attempt to override the governor's veto, which would require a 2/3 vote of each house. Here are links to other stories today on the veto of the bill: Los Angeles Times, Sacramento Bee, an additional story from late yesterday on Capitol Weekly, TheAssociated Press and National Review. California Gov. Jerry Brown today vetoed a fertility industry-backed measure that would have permitted women to sell their eggs for the purposes of scientific research. The bill would have repealed a ban on compensation of women who provide their eggs for scientific purposes. The measure would not have changed existing law that allows women to be paid for their eggs for IVF purposes with fees that range up to $50,000. The bill also would not have affected the ban on compensation for eggs for research that is financed by the $3 billion California stem cell agency. The legislation (AB926) by Assemblywoman Susan Bonilla, D-Concord, was sponsored by the American Society for Reproductive Medicine and easily swept through the Democratic-dominated legislature. Bonilla said the measure would have placed women on an equal footing with men, who are paid for their sperm contributions for research. She also said that it would help to encourage more research into fertility issues. Some stem cell scientists have complained that not enough women are willing to donate eggs without compensation, but stem cell researchers were not publicly involved in supporting the bill. The fertility industry group had confidently predicted that Brown, a Democrat like Bonilla, would sign the bill. The governor's action could be overridden by a 2/3 vote of each house of the Legislature. It is not clear whether Bonilla will make such an attempt. "Not everything in life is for sale nor should it be. "This bill would legalize the payment of money in exchange for a woman submitting to invasive procedures to stimulate, extract and harvest her eggs for scientific research. "The questions raised here are not simple; they touch matters that are both personal and philosophical. "In medical procedures of this kind, genuinely informed consent is difficult because the long-term risks are not adequately known. Putting thousands of dollars on the table only compounds the problem. "Six years ago the Legislature, by near unanimity, enacted the prohibition that this bill now seeks to reverse. After careful review of the materials which both supporters and opponents submitted, I do not find sufficient reason to change course. "I am returning this bill without my signature." You can read more about the bill and its history here, here, here and here. The Xconomy news service today carried a sterling look at the contributions that Duane Roth, co-vice chairman of the California stem cell agency, made before his untimely death as the result of a bicycle accident. Another speaker at the memorial services Friday attended by about 1,000 persons was Bill Walton, the former UCLA and NBA great, who grew up in San Diego. Bigelow described Roth as an ecumenical and pragmatic advocate for innovation who could work with persons who did not always agree with him on all issues. He was a conservative and active Republican, but his co-vice chair at at the stem cell agency, Art Torres, former chairman of the state Democratic Party, on more than one occasion has lauded Roth's ability to work together. Bigelow wrote about similar remarks Friday by Don Rosenberg, an executive vice president and general counsel at Qualcomm. The headlines march like legions across the Internet and throughout the world. All these headlines go to address, in one form or another, a request/question posed last month by an anonymous reader of the California Stem Cell Report. The comment came on an item about the California stem cell agency's $70 million plan to establish a network of “Alpha” stem cell clinics in California. However, no thorough, rigorous evaluation has been made of the details of the agency's scientific contributions, specific grant awards or its impact on the field of regenerative medicine. No one has attempted to genuinely assess whether the work of the agency is or will be worth the roughly $6 billion(including interest) that California taxpayers will have paid for the agency's ambitious efforts. Then there is the question of “progress towards what?” Is the progress to be measured against the promises of the 2004 ballot campaign that resulted in creation of the stem cell agency or more modest goals that eschew the hype of the campaign? The stem cell agency is burdened in a way that most science is not. The 2004 campaign created a sort of contract with voters. They were led to believe nine years ago that the cures for diseases that the campaign said afflict nearly one-half of all California families were, in fact, right around the corner. Few, if any California stem cell researchers were publicly warning that a hard and long, long slog remained before therapies reached patients. Last week, however, Simon Roach of the British newspapers, The Guardian and Observer, shed some light on the early, rosy promises of stem cell science compared to the world as it exists today. “Fifteen years on, however, we've had some liver cells, eye cells, even a lab-grown burger, but no whole human organs. We could be forgiven for asking: where's our heart? It does seem strange that a field stoking so much excitement could be so far off the mark. Speaking last week about the vision that he and his colleagues outlined in 1998, Sefton said they had been 'hopelessly naïve.' As time plodded on and an understanding of the biological complexity increased, the task seemed bigger and bigger. Even now, a cacophony of headlines later, we are not much further ahead. “Chris Mason is a professor of regenerative medicine at University College London and believes that concentrating on organ regeneration is missing a trick. 'These organs are immensely complex,' he said. 'They've got nerves, blood vessels, in the case of the liver, a bile system – there are huge degrees of complexity. These things take a long time to grow in humans, let alone in the lab without all the natural cues that occur in the growing embryo.'" Little doubt exists that the California stem cell agency has made a significant contribution to stem cell science, although the size of that contribution – beyond dollars – remains to be measured. For now, the key for the agency and the public is to focus on activities that will generate the greatest value over the next few years and advance the science that has already been financed by the agency. An estimated 1,000 persons attended services last week for Duane Roth, co-vice chairman of the California stem cell agency, who died at the age of 63 following a bicycle accident. “A Who’s Who of San Diego’s technology, business and civic community gathered Friday to bid farewell to Duane Roth. The biotech entrepreneur, community leader and director of Connect died last weekend of injuries sustained in a cycling accident. 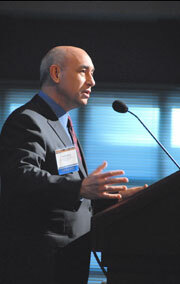 'Paradigm Shift' -- Researchers as Patient Advocates? It is not easy for a stem cell scientist to break into “print” in that bastion of American capitalism, Forbes magazine. Much less one from that perceived antithesis of free enterprise, Reed College. 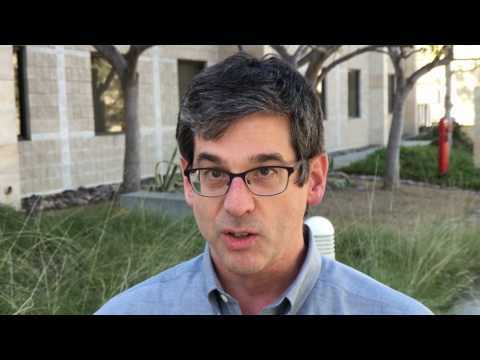 But researcher Paul Knoepfler of UC Davis has done just that. John Farrell of Forbes wrote about Knoepfler on Friday in the wake of the announcement Knoepfler will be honored with a “national advocacy” award by the Genetics Policy Institute. Paul Knoepfler -- Advocate for a "new ethos"
Knoepfler, who received a degree in English literature from Reed in 1989, is being recognized for his activities as a stem cell blogger since 2009. “But it was only possible, (Knoepfler) added, with guidance from many patient advocates and bloggers in other fields who generously helped him learn the ropes of blogging. “'I see this award as a validation of the notion that advocacy by scientists has become a valued part of the stem cell field,' he said. The $3 billion California stem cell agency today weighed in on the Henrietta Lacks-NIH arrangement restricting the use of her cell lines in research. “The informed consent process includes a form that identifies the purposes of the research and describes the way cells will be used. We are also developing education materials that will help potential donors quickly and easily understand the basic aspects of research that will be conducted with those cells. The end result of this collaboration with our grantees will be a process that is truly informative to donors. More details about the unprecedented arrangement involving Henrietta Lacks' cell line emerged today in a wide range of publications, including a Nature journal piece that said it was not a precedent. The article was co-authored by Francis Collins, head of the NIH, and Kathy Hudson, deputy director for science, outreach and policy at the NIH. “Imagine if someone secretly sent samples of your DNA to one of many companies that promise to tell you what your genes say about you. That report would list the good news (you’ll probably live to be 100) and the not-so-good news (you’ll most likely develop Alzheimer’s, bipolar disorder and maybe alcoholism). Now imagine they posted your genetic information online, with your name on it. Some people may not mind. But I assure you, many do: genetic information can be stigmatizing, and while it’s illegal for employers or health insurance providers to discriminate based on that information, this is not true for life insurance, disability coverage or long-term care. In the Wall Street Journal this morning, Ron Winslow described the arrangement with the NIH like this. “Under the pact, two descendants of Ms. Lacks will serve on a six-member panel with scientists to review proposals from researchers seeking to sequence the DNA of cell lines derived from her tumor or to use DNA profiles of such cells in their research. That gives family members a highly unusual voice in who gets access to personal health information. In an interview in The Scientist, Skloots, who was involved in the Lacks-NIH negotiations, said the Lacks family asked for her participation.